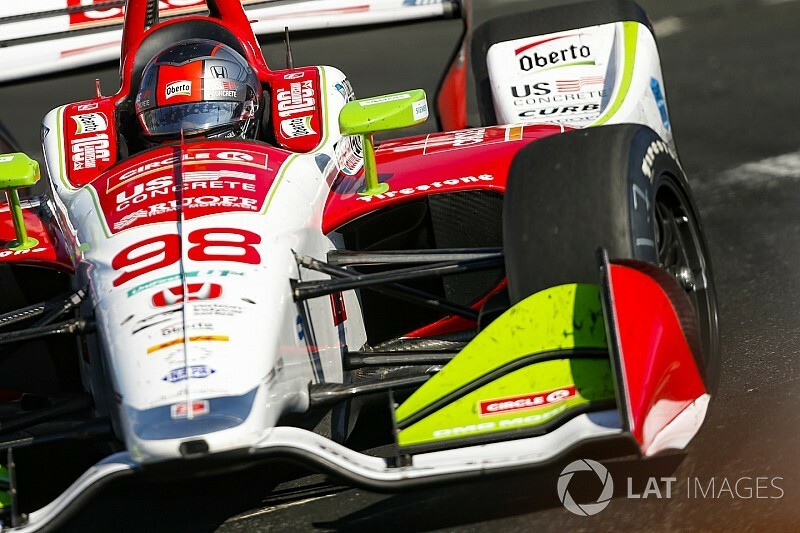 Marco Andretti’s failure to finish in the fourth place he earned at Toronto last Sunday was due to a team problem in pitlane, says Bryan Herta, who co-owns the #98 Andretti-Herta Autosport entry. Andretti, who set pole for the first Detroit race, was fast throughout practice at Toronto, went out on reds too early on a damp track in qualifying so he lined up only 14th but made up for it on race day. 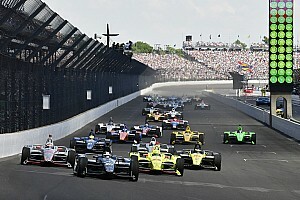 He sliced through to ninth on the opening lap and after a torrid battle with Rahal Letterman Lanigan Racing’s Takuma Sato, was running a solid fourth when he had to pit on the penultimate lap for a splash of fuel. He dropped to 10th as a result, although he still mustered enough points to climb back into the top 10 in the points standings. 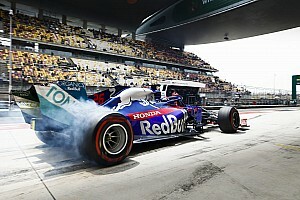 Herta, who joined forces with former rival, and his former team boss Michael Andretti in the 2015/16 offseason, told Motorsport.com: “Absolutely, that was our fault. Marco didn’t stop early on the second stop and he didn’t burn through the fuel too quick. He ran out of gas through us making a very simple mistake. “At the second stop [Lap 56 of the 85-lap race] we didn’t get the car full. We thought we had enough fuel but we didn’t fill it up and it was total a mistake from our side of the equation. We didn’t know we were going to run out of fuel until we ran out of fuel, when Marco got the light on the dash telling him he was on the collector tank. We should have had plenty. “It was a real shame because he earned that fourth and we lost it for him. The positive is that we as a team showed the improvement and how far we’ve come and Marco’s had some great races this year. Unfortunately this was another one, like Texas, where an issue prevented what should have been the ultimate result. 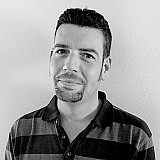 “But the thing we know is that if we keep running that strong, we will get the result. This is why we run the races – things happen, it doesn’t always turn out perfect, but there are also things we can feel good about from Toronto. And that’s what I try to do, tell everyone that yeah, OK, we had this disappointing thing happen but let’s not forget the positives. Marco was fast throughout practice and if tactically we’d done something different in qualifying, he’d have been up near the front. Then at the start, he gained five places on the first lap, he gained places on every restart, and he only went forward – he was not passed the entire race. 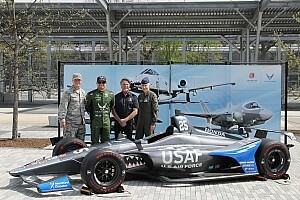 Asked what it was that has boosted Andretti’s performances on street courses, Herta replied: “It’s not any one thing. There wasn’t some seminal moment where something happened, some awakening. It’s just a process where he’s been working on doing the best in the car as all professional drivers do, the team has been doing a good job and our cars have improved across the board, and we just show up every day and try and be better than the day before. That’s just the mentality. Andretti’s second and most recent win was at Iowa in 2011. 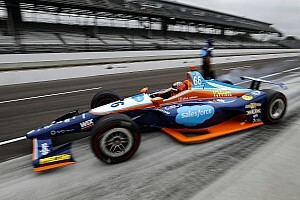 Asked if he believed Andretti could win one of the remaining five rounds (three road courses – Mid-Ohio, Portland, Sonoma – the Gateway short oval and the Pocono superspeedway), Herta replied, “Yes, yes I do. I’m not crazy, and you know me, I’m not prone to making crazy statements. But I have no doubt that Marco is capable of winning at this level and we’re doing a lot of the right things and we’ll continue getting better.